How do i buy a box or make a donation? Choose which way you want to support us and fill out the form that follows. We accept: Visa, Master Card, Discover, American Express or EBT Card. Orders must be placed on or before the 2nd Friday of the Month to be available that same month. When do you distribute food boxes? We currently distribute on the 3rd Saturday of each month at 901 Sacramento St. Bakersfield, CA 93301. Orders for our sponsored families are delivered to their homes. If you are ordering for yourself, you can pick it up at our monthly distribution. How safe are your food products? We pride ourselves in highest Food Safety standards in the industry. All suppliers are certified by the USDA. Our Quality Control Team inspects all products to ensure all quality standards are met. We guarantee our products are so safe that we feed them to our own children. Where do the fresh fruits, veggies & proteins come from? 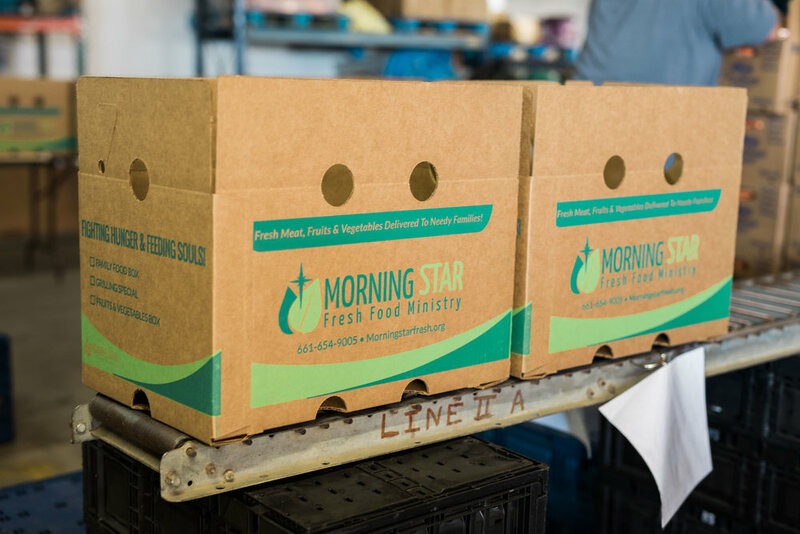 We source them from local farms and national suppliers who are committed to quality and freshness. If you cancel the order before the order deadline, you will receive a full refund. If you have a quality issue, please contact us by phone or email and a replacement or refund will be given.